Suit Up for D.Va’s Nano Cola Challenge! D.Va has successfully defended South Korea from another gwishin omnic attack in her new animated short, “Shooting Star”—now it’s time to kick back with her favorite (officially endorsed) beverage! To celebrate her victory and the upcoming release of the new Busan map (now on the Public Test Realm), we invite you to participate in D.Va’s Nano Cola Challenge starting now until September 10! We’re bringing the excitement of the action-packed animated “Shooting Star” short into Overwatch by making some of the special content in the short available to unlock in-game. Your wins in Quick Play, Competitive Play, or Arcade will all earn you additional limited-time D.Va sprays, a player icon, and a new epic skin: NANO COLA D.VA! 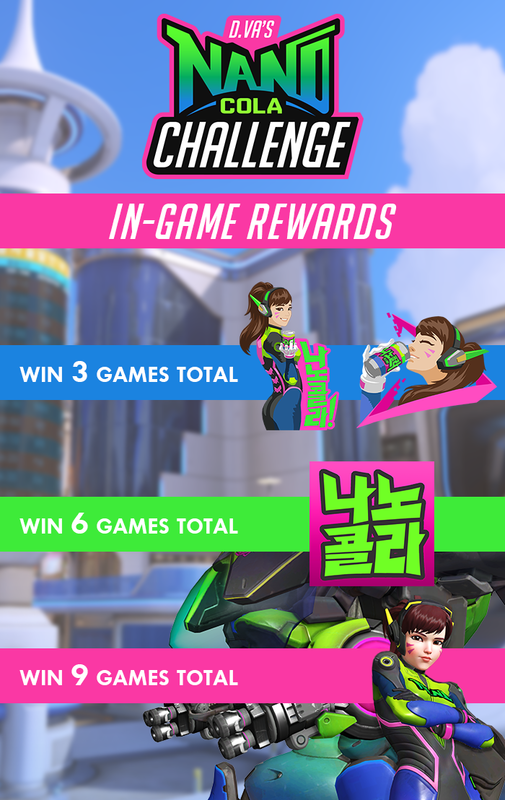 These special D.Va’s Nano Cola Challenge rewards are a bonus on top of your normal earnings for playing in the Arcade. When you’re not playing to win, you can watch to unlock even more D.Va-themed cosmetics! For the next two weeks, we’re partnering with a variety of content creators from around the world to bring you a new series of Twitch Drops. Tune in to these MEKA-awesome broadcasters while they’re playing Overwatch anytime through September 10 to earn eight D.Va’s Nano Cola Challenge sprays! 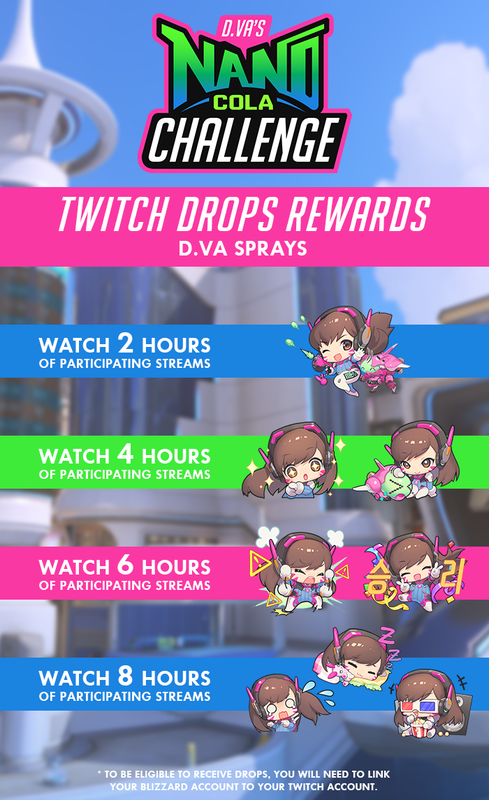 D.Va’s Nano Cola Challenge Twitch Drops will be available August 28 - September 10 on select Twitch broadcaster channels—see the full list of participating channels below. Tune in during the highlighted dates and times to support a specific broadcaster, or watch their streams at any point during the campaign to unlock these rewards. For more information on Twitch Drops, click here. Overwatch has now spread to South Korea with our newest control map: Busan! Check it out now on the Public Test Realm. Travel to Busan, South Korea and battle for control across three distinct locales within one map: the Sanctuary, Downtown, and MEKA Base. Explore the serene setting of the Sanctuary, surrounded by an ancient temple, beautiful gardens, and historic architecture. Clash in the bustling metropolis of Downtown, where players will fight in a busy PC bang, flashy karaoke bar, and central light rail station (just watch out for the train). Contest for position in MEKA Base—home of South Korea’s frontline defense against the gwishin omnic attacks: D.Va and the rest of the MEKA squad. Teams must fight to hold each of the three stages to establish complete control of the city that refuses to surrender its way of life to any threat. Level up your wall art matrix with the official printable poster from Shooting Star for free. You can also give your desktop, laptop, tablet, and phone the diva treatment with these gorgeous wallpapers that are free to download and use. It’s time to raise your APM in-game and rack up your hours watched on the streamer scoreboard so you can add all of these limited-time cosmetics to your collection. Now bunny hop to it—bailing out! 8 hours of watching others to go full sell-out. I don't even have a TV... who can sit so much and doing nothing? I would rather do some useful thing in that 8 hrs like working? making my life better? Then I guess it isn't for you. As cute as that skin is, I just don't play Overwatch anymore. Not worth it for me, sadly. As above. It's what I did with the Mercy stream too. I don't care about watching others play. So open it up, mute the sound and go play WoW or something. Yeah, I just run the stream muted on my second screen, but it's just silly sprays for watching. I'll never even use the sprays anyway, but I like having 'em. It only takes a couple of hours to get the skin (9 wins) so not that big a deal. In that context it just makes watching the stream for 8 hours more absurd. Not surprised most people just run it muted while doing something else. Really not impressed by this 'Watch Twitch for everything' direction at all. That's not bad, but I guess what I'm trying to say is because I don't play, getting cool skins is kinda worthless. As much as the game drew me in originally, a lack of single player content and my friends losing interest made my own desire for the game wane pretty quickly. I'm aware of that, I've been following the game since they announced it at BlizzCon. 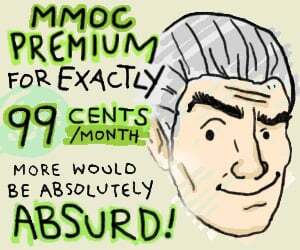 I had been holding out hope they'd introduce some sort of campaign or single-player modes. I was even excited when the robot war thing came out, hoping it'd be a permanent addition, but it wasn't. I got all of the DVA Nano drops in like 1 day. I play too much OW. Same, but only because I had been getting over an eye infection during most of the event and did it all on the 9th.